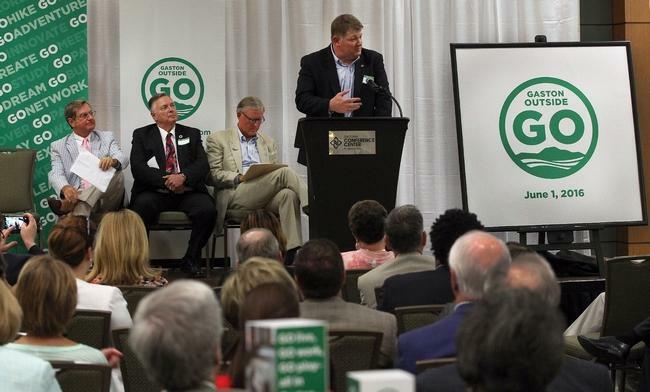 The hope for the South Carolina marketing agency that coined the phrase — and the Gaston County business and political leaders footing the bill — is that the two words will tell people that Gaston offers not just outdoor recreation, but a quality of life unattainable in Charlotte. Billboards to be placed along Interstates 85 and 74 and an almost 4-minute video were unveiled at the Gastonia Conference Center on Wednesday. The cost for the three year campaign is $900,000 of which almost $1 million has been raised and promised including $225,000 from private investors. The rest comes from a mix including Gaston County Travel and Tourism, as well as Gastonia, Belmont, Mount Holly and other cities. The initiative was launched in response to a 2015 survey commissioned by the Greater Gaston Development Corp. The survey showed that people in the Charlotte region had little or no thoughts about Gaston. Developers and investors saw the county negatively. Gaston Outside wants to celebrate all of the people, places, businesses and natural beauty in Gaston County. If it is successful, the hope is to draw more businesses and residents to the area to help bolster the local economy, tax base, and help the area flourish. Gaston County does have some pretty great things going for it including great outdoor living, charming towns and municipalities, strong educational programs, business friendly policies, and proximity to Charlotte. This campaign hopes to make more people aware of them. This could be a boon to existing homeowners as more people moving into the area could boost home values. It could also mean more options as developers try and build to keep up with increased demand. As Gaston Outside says “No matter what your idea of a good time looks like, you’re bound to find it in Gaston County.” From hiking, paddling and cycling to vibrant local culture and arts, Gaston county’s opportunities for fun are endless. 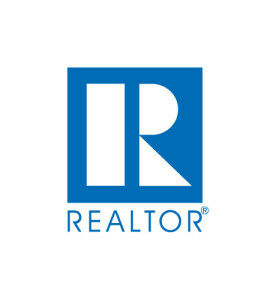 Hopefully it won’t be long before the campaign reaps rewards and there will be an influx of new people, energy, and opportunities in real estate.